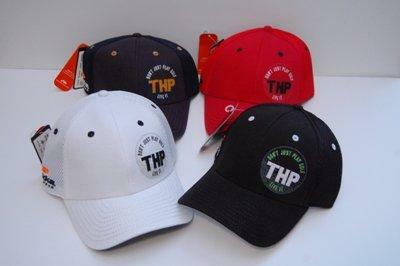 THP has teamed up with Pukka Headwear for an incredible contest! Below you will see a blank hat template. 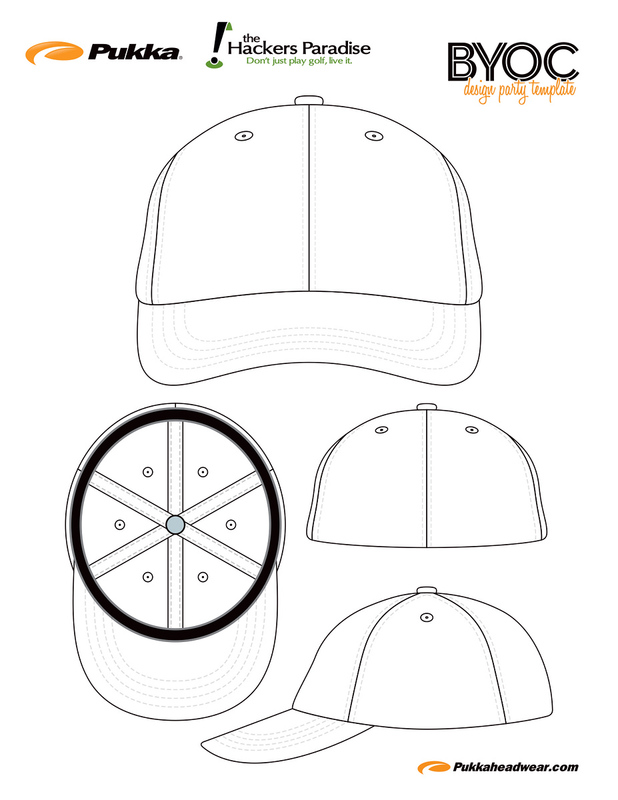 We want you to take this template and create your own hat. You can design it on the computer or print it out and use crayons, markers, colored pencil, etc. 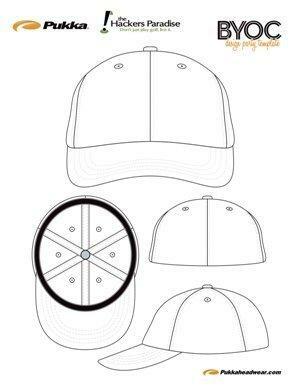 to create your own hat design. You can refer to the Pukka website for design ideas but this is a totally blank template and you can create anything you want.The only requirement is that the hat must include the THP & Pukka Logos. Thanks to the great folks at Pukka Headwear there will be 2 winners. The lucky winners of this contest will receive a free cap but the person with the most votes could have their hat featured in one of Pukka’s upcoming collections! The deadline of this contest Monday October 3rd, 2011 at 11:59pm EST. You must have 10 forum posts and 5 in the last 7 days to qualify. If you do not have all the information in your entry, your entry will NOT be counted. It’s simple, you can either print out the template below or use your computer skills to create your own cap. You can then take a picture of your design, scan it, etc. and then email us with your entry. (email address listed above). We will have this contest run for a week and at the end of that week THP staff along with Pukka Headwear will go over the entries and pick the top 5. Those top 5 will be entered into a poll that can be found on the THP Forums as well as the THP Facebook Fan Page and the Pukka Facebook Fan Page and you will have 1 week to vote on your favorite cap design. As mentioned to top two winners in the poll will receive a free Pukka Cap and the person with the most votes could have their design featured in an upcoming Pukka Headwear collection. You may also see these designs featured in the THP Store. We can’t wait to see all the amazing designs the THP readers will come up with. Good luck! Very very cool opportunity and contest! Some creative forum members here; expecting some great entries. Thanks Pukka & THP! That’s pretty awesome! We have some very creative people here at THP and I think we’re going to see some really cool hats. Looks like a blast, time to break out my crayons. Thanks THP and Pukka! Wow!!! This is Seriously super contest!!! Pretty cool contest, I know THP has some really creative members, should make for a few awesome hats! I just thought of something. I was going to show THP love to Pukka on their Facebook page as well as THP’s page. So I will do both. Heres link to Pukkas. Thanks THP & Pukka. http://www.facebook.com/pukkaheadwear?ref=ts. Man I wish I were creative. This is a very cool idea though. Good luck everybody and thanks THP & Pukka. The Pukka THP hat I have is still my favorite hat! This should be right up the ally of some THPers. I’m not very artistic or creative but it will be fun! Thanks THP and Pukka. Pukka hats are extremely comfortable to wear. I look forward to seeing what the results are. What a great contest! I can’t wait to see what designs come out of THP. Thanks THP and Pukka for such an awesome contest. Wow. Incredible. I cant wait to submit my design. not sure if i’ve got enough time or skills to create a hat, but i’ll sure be voting on the best hats! This is a great contest! Should be fun to see how these come out. This is too freaking cool. Great idea! Thanks to THP and Pukka, who both seem to grace my head on a daily basis. This is a sweet contest! Probably one of the coolest since I have been a member of THP! Thanks THP and Pukka! Very cool contest! Thank you THP and Pukka! This should be a lot of fun! I’m all over this one… hopefully my crayons scan well! Very cool contest!! Way to raise the bar Team THP!! Big thanks to Pukka too! Their hats are incredible! What a great idea for a contest. Thanks THP and Pukka !! What a unique contest! I can’t wait to see what people come up with! Wow fantastic contest here! Now we get to see the creative side of THP’ers! Cool contest! Time to break out the crayons. Excellent contest! thanks Pukka and THP! Great contest, should be fun to see all the creative ideas coming out of this one! Done – now, how do I get the crayon marks off my computer screen? Very Cool!! This should be alot of fun. I had fun designing my hat. Thanks for the cool contest! Great contest THP and Pukka!!!! Really cool idea. What an awesome contest. Time to get creative. Thank you THP and Pukka for the opportunity. This should be a fun contest! This will be great fun! Can’t wait to see what everyone comes up with. Thanks Pukka and THP! Excellent contest idea!!! Thanks Pukka and THP for another unique contest! This is awesome, I have no creativity but I’ma try anyways! This will be a lot of fun! There are going to be some interesting designs!!!! Submitting my entry right now! I really can’t wait to see all the entries. somehow I totally missed this opportunity, this is really cool. I’m not the most artistic person in the world but I will through my hat in the ring. We have extended the contest end date to this Friday 10/7 so there is still time for you to get an entry in.